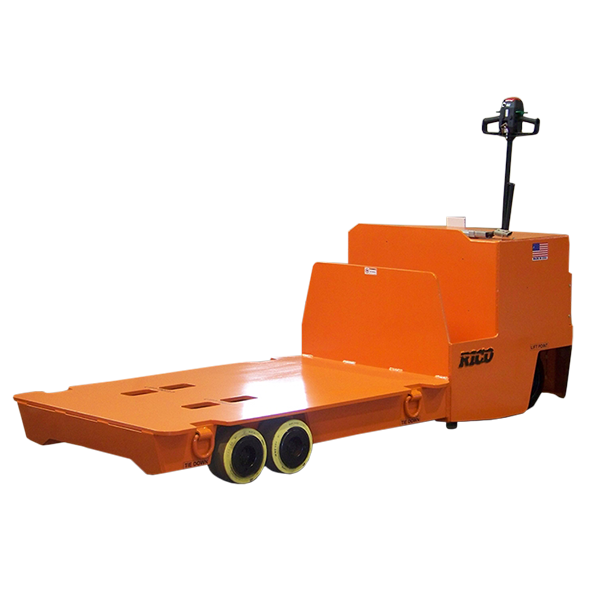 Rico’s transporters and automatic guided vehicles (AGV’s) are designed to handle the heaviest of loads. 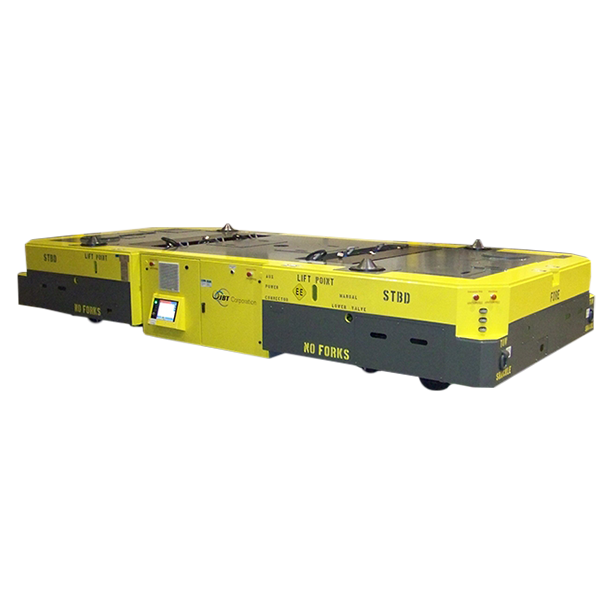 These vehicles safely transport dies, steel ingots, coils, and unique loads that other vehicles struggle to handle with unmatched ease. We start with our heavy duty chassis design constructed from A36 plate and high strength structural steel on all welded frames. Strong, preheated, multiple-pass frame welds, specifically designed for the most severe operating conditions, are a trademark of the Rico Product Family. Our single, dual, or all wheel steering set up requires less space for operation, allowing for precise maneuverability which is critical in manufacturing facilities. The floating suspension design provides four point contact with the ground at all times, maximizing drive and steering traction. We maximize performance with high torque drive motors, coupled with planetary or vertically mounted transmissions, providing the strongest combination of power and torque for rapid start up acceleration. 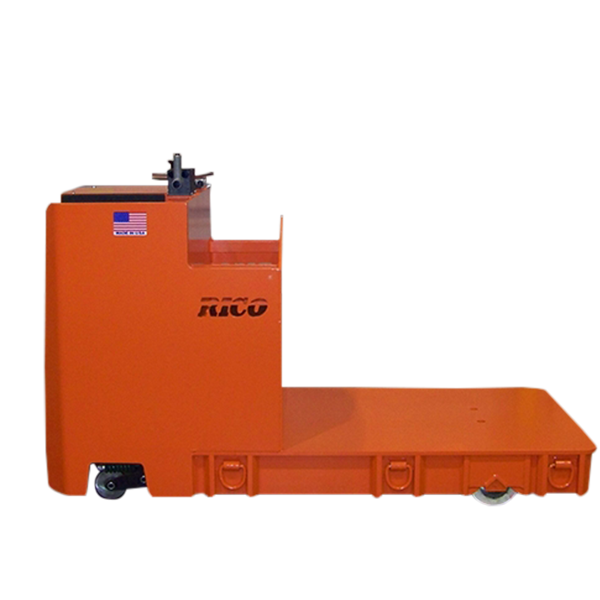 Rico’s custom engineered approach allows for variety of lift heights, capacities, and options meeting your specific application and load requirements.